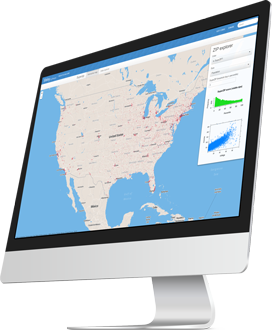 RStudio lets you put shiny web applications and interactive documents online in the way that works best for you. For Shiny applications, consider RStudio Connect, a publishing platform for all your data products. Now you can share your team’s Shiny applications, R Markdown reports, dashboards, plots, APIs, and Jupyter Notebooks in one convenient place. If you prefer for us to host your Shiny applications, one of our shinyapps.io plans is sure to work for you.